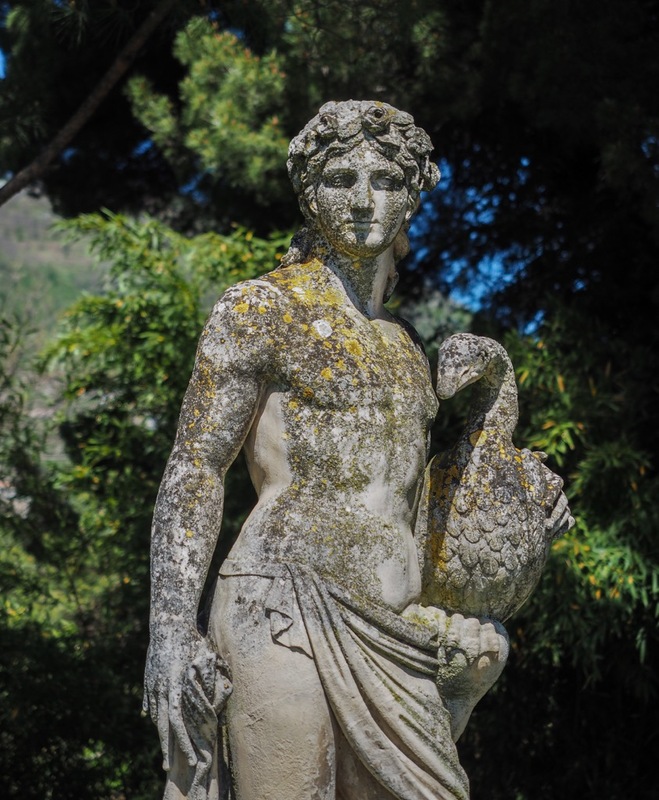 Italy: The gardens of Villa Cimbrone. The best view in Italy. The best view in Italy. No, we’re not kidding. It really is. The Amalfi Coast is known for its views and vistas. And although most of them are pretty good, the gardens of the Villa Cimbrone easily win hands-down in the ‘fantastic views’ department. On the outskirts of the town of Ravello, on the Amalfi Coast. Map. 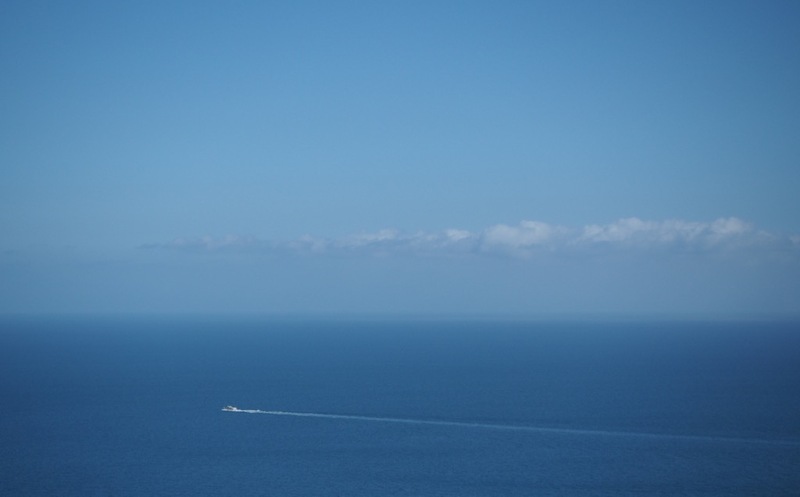 CERTAINLY THE AMALFI Coast is not a hidden gem by any standards. Well and truly discovered, you’ll find Rick Steves-toting Americans and Chinese tour groups sporting identical caps on what must be one of the world’s most picturesque roads. Tourists vastly outnumber the locals, at least in high season. 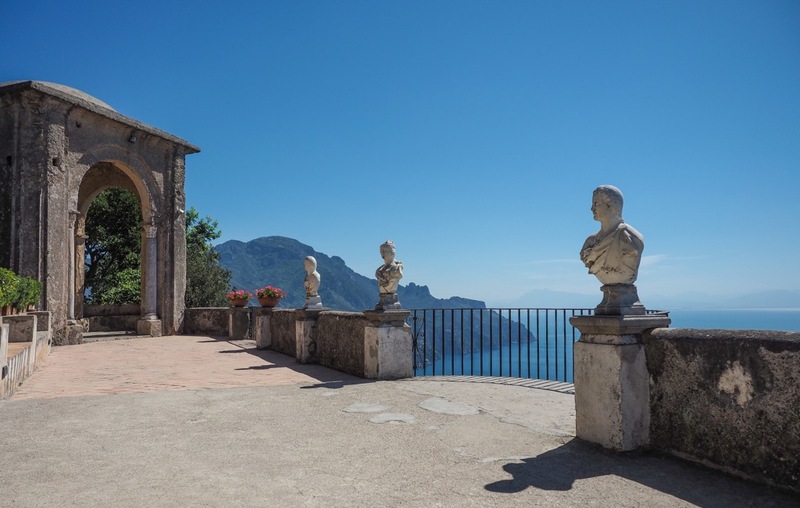 And even the small town of Ravello, nestled a good 360 meters above sea level, has been attracting tourists since the first aristocratic backpackers dropped in on their Grand Tour in the 18th century. So how come the gardens of Villa Cimbrone are not swarming with selfie-sticks and megaphone-wielding tour guides? The Villa’s saving grace is that there is no road. Located on the tip of the plateau it shares with the town of Ravello, the only way of getting there is by taking a 15-20 minute walk down a meandering path suited to donkeys but inaccessible to cars or, god forbid, tourbuses. 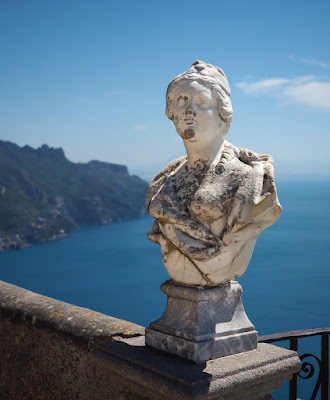 This means that although sightseers do make their way to the gardens, we are spared the hordes that descent upon Amalfi town and Positano. Senior citizens pushing walkers are likely to give the Villa a miss too, so take advantage of your legs while they are still in good working condition! 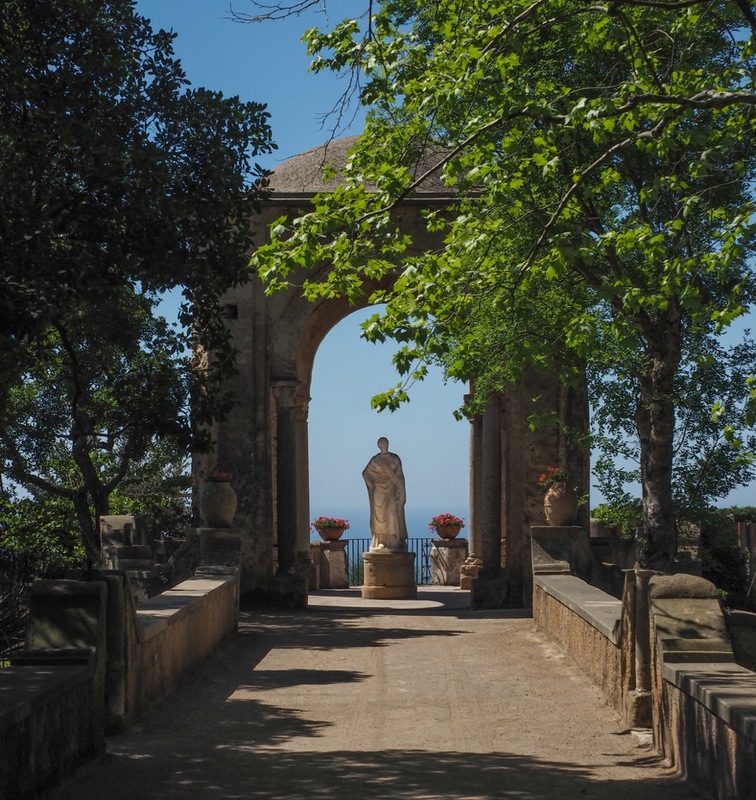 Villa Cimbrone and its gardens have had their ups and downs over the years. 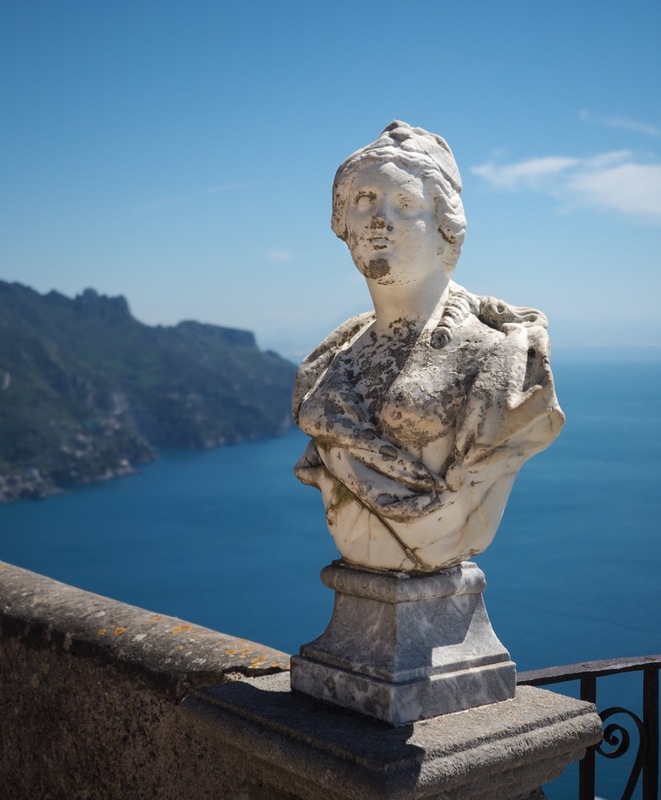 The first 'up' was probably in the 11th century, when a local aristocrat grabbed this piece of land, not so much for its views, but because flat, arable land is a rare commodity on the almost vertical Amalfi Coast. Several noble families called the place home and as wealth accumulated, part of the farmland was transformed into a pleasure garden. But by the end of the 18th century things started going south and the estate became neglected and abandoned. The owners at that time, the cash-strapped aristocratic Fusco family, made a humiliating but liquidity-boosting move and sold the whole lot to a bunch of nouveau-riche pasta-makers from Atrani, the Amici brothers. 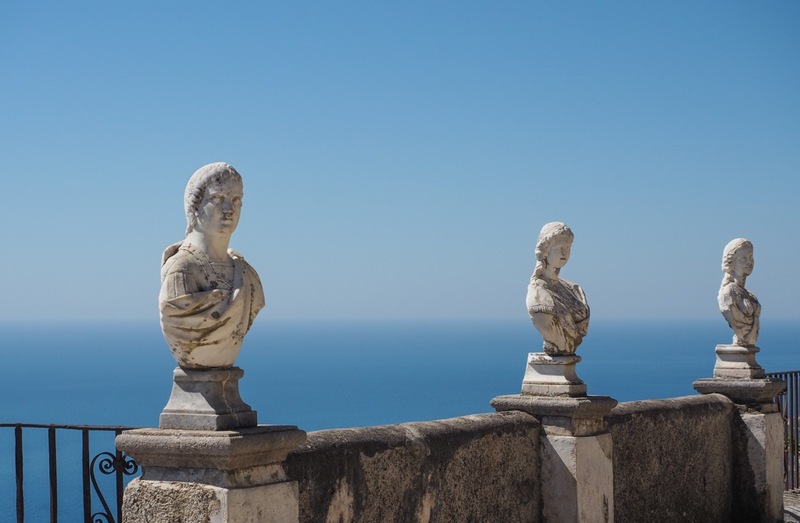 The Villa’s fate took a turn for the better when an English Grand Tourist, Ernest Beckett, rocked up and, not untypical for a pasty Englishman arriving in the balmy Mediterranean climate of Southern Italy, decided that he’d found Heaven on Earth. Beckett blew part of the family savings and bought the estate in 1904. (A year later he was sacked as a senior partner in the family bank by his two brothers because of his 'expensive tastes and personal debts'. Beckett, by then known as Lord Grimthorpe, suffered from a major depression, having lost his dear wife at an early age. Without easy access to Prozac, he took some gardening leave, and poured his (broken) heart and soul into creating his own little corner of the earth, inspired by a romantic interpretation of classical antiquity. Italian garden, English style, Classic inspiration. 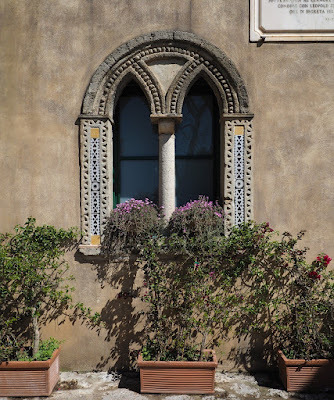 So the irony is that most of what we see today and admire as a typical Italian garden is actually an English creation, as virtually nothing remains of what was there before Becket/Grimthorpe went on his excessive gardening spree. Bust followed boom again during World War II. As the owners were English, and hence presumed to be foreign spies, the estate was seized by the Italian State and then lay abandoned. 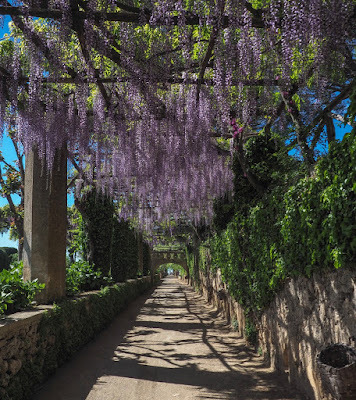 But since its acquisition in the 1960's by the Vuilleumier family Villa Cimbrone’s luck has taken a turn for the better again, and after extensive restoration work the Villa and its gardens look again like a million dollars. Purple Rain: wisteria in Princely bloom. There’s now a posh hotel, and a fancy restaurant- yet, the only access road is that old-fashioned donkey track, limiting the crowds and preserving the Villa’s peace and quiet. Right, but what about the views? The most excellent view is to be found on the Terrazza dell'lnfinito, the Terrace of Infinity, a belvedere blessed with a stunning location and, as Gore Vidal noted, only a hazy shimmering line separating the blue of the sea from the blue of the sky, at least on a good day. There has been a viewpoint here since the 17th century. Later, a collection of fake classical busts was used to create what the perfect Kodak moment we see today. In spite of the Jamiroquai-esque overtones, it seems Beckett never found the happiness he was looking for. He died in 1917 and his ashes were interred in the Temple of Bacchus in the garden. 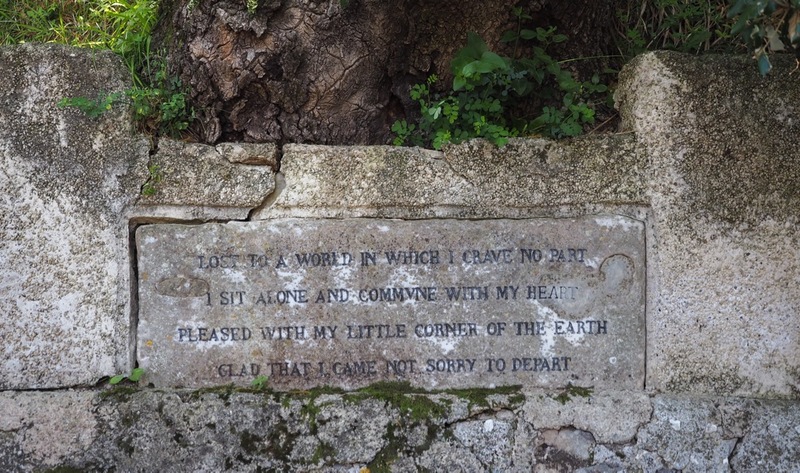 As said, it's a 15 minute walk from Ravello's central square to the gardens. 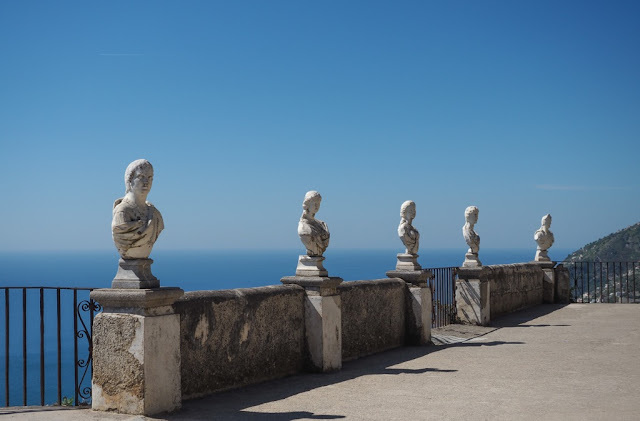 For more walking in the area, read our article on 'Walking from Atrani to Torello and Minori', easily combined with a visit to Villa Cimbrone. Explore the Belvedere in 360 degree Photosphere. Missed visiting this place during my trip to Italy! I am amazed in spite of 15 days in Italy how much I haven't seen! The statues against the blue skies makes such interesting pics. Hard to associate with sorrow. Looks well maintained and worth visiting. Indrani, glad you enjoyed it. It's indeed a beautiful place. Indeed, one can never see everything, not in 15 days, not in 15 years. There are simply too many places. 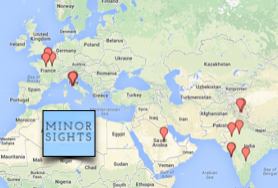 That's why we started this site to highlight some of these places overlooked by most visitors.